Beijing’s love-hate relationship with foreign IT corporations. On April 13, the Chinese Communist Party (CCP) and State Council issued new guidelines on strengthening internal security in the wake of unprecedented terrorist attacks inside the country, rising public order concerns, and increasing online dissent. The guidelines called out the use of new high-technology and cyber-based assets, including data mining, closed circuit TV, and satellites, to help restore central government control. This is the last in a series of five brief items (see: “Part IV: How China Assesses Civil Disobedience in Cyber Space”) by Greg Austin, based on his 2014 book, Cyber Policy in China, providing some political context on how the country is using its cyber power in the service of internal security. Since the launch of its electronics revolution in 1983, when the government set itself the goal of increasing output in the sector by a factor of 8 by the year 2000, China has consistently pursued and obtained foreign investment in its internal security technologies and significant technology transfer in the field. The scale of foreign involvement in China’s internal security industry and operations has never been extensively analyzed in the public domain, but it has been the subject of political protest and court cases by human rights activists in the West against a number of leading U.S. corporations. 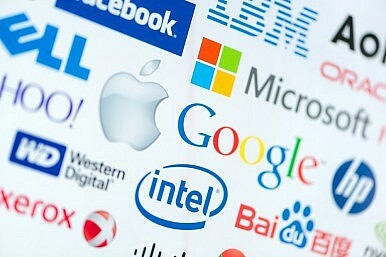 China remains a business target of the highest priority for leading U.S. based technology companies, such as Microsoft, Cisco, Google and Facebook in spite of a range of political and regulatory challenges. The most significant of these challenges flow from China’s reaction to U.S. and Western dominance in the ICT sector in general, and in cyber espionage in particular. China’s leaders feel an acute need to develop a domestic cyber industry that can allow China to withstand and confront foreign countries on their own terms. This impulse existed before the revelations of Edward Snowden beginning in June 2013, but it was dramatically reinforced by the Snowden leaks. In response to those leaks, China has introduced some discriminatory measures against U.S. companies that had been publicly named as complicit in the U.S. cyber espionage against it. In December 2014, the Europe-based Mercator Institute for China Studies reported that European companies had not felt the same chill winds from the turn by China to domestic technology forms in the public security sphere as U.S. companies had. Of some note, Russian firm Kaspersky seemed to suffer some fall out similar to that of U.S companies. The continued internationalization of the internal security industry in China presents serious policy dilemmas for China. How these are resolved will say much about the country’s political future. The conclusion in my recent book, Cyber Policy in China, that the internationalization of China’s ICT sector in general will force it to more cooperative policies may carry a similar implication for China’s domestic cyber security industry. This judgement appears to have been borne out, temporarily at least, by the suspension in April 2015 of new public security measures against foreign providers of cyber security technology that would have required them to reveal their source codes and cooperate in other unacceptable ways with China’s internal security agencies. The opinions expressed in this article series are the author’s own and do not reflect the view of the EastWest Institute. Many Chinese scholars equate civil disobedience with the color revolutions much feared by the Chinese leadership.